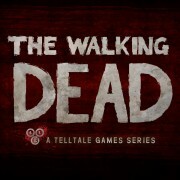 Following the huge success of the original episodic series of The Walking Dead the developers, Telltale Games, have just announced that they’re in the brain storming stage for season 2. Fans have been discussing the possibility of a second season since the first was released, and following confirmation from the developers, many were hoping to get the second rendition sometime this year. However in a recent interview with Redbull UK Telltale Games CEO Dan Connors explained that the game was still in an early brain storming stage. Although it came as a disappointment for fans that were hoping to get their hands on season 2 within the next few months, it’s great news to see that they’re hoping to allow players of the original to copy over their save file. This also says a lot about the state of the game itself. Obviously they’re going to be including characters from the original game, otherwise there would be no use in remembering the choices made before playing season 2. This had led to lots of speculation over the characters that finished in season 1, depending on the choices made by the player. I’d like to go into more detail but there’s nothing worse than unsuspected spoilers in a news article so I’ll leave that for another day. Did you enjoy season 1? Would you grab the full package for season 2 or still purchase it on an episode by episode basis?